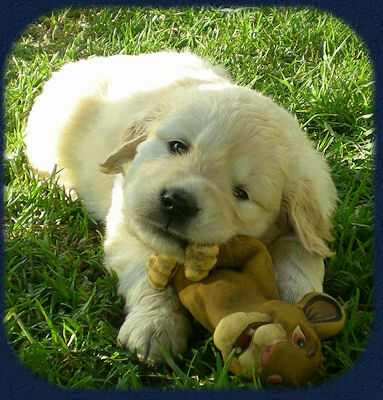 At Elljoa we strive to produce sound quality puppies with the most outgoing confident personalities that represent the golden retriever breed and our kennels to the highest standard possible. We are members of Dogs NSW and The Golden Retriever Club of NSW and strongly uphold the code of Ethics that these two associations adhere to for the health and betterment of the breed. 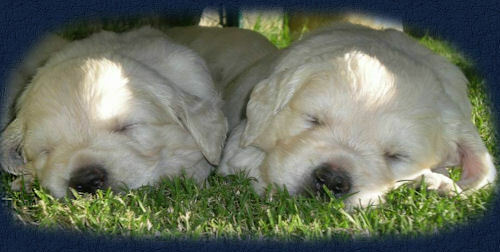 Every puppy is special and deserves the very best therefore our puppy families are carefully selected and schooled to ensure they are fully prepared for their responsibilities before taking their new puppy home and if location permits we strongly encourage visiting us and the litter as they develop. Distance does not exclude any family from the joy of owning one of our pups and we are very conscious of keeping in touch with photos and updates on the litters’ progress and to answer any questions as they arise to prepare you for your new arrival. All our breeding dogs are screened for hereditary conditions associated with the breed and our pups are registered with Dogs NSW, vaccinated, wormed, microchipped and vet checked at six weeks ready to leave with their new families at eight weeks old armed with our puppy information pack carefully put together to help ease you into the coming weeks full of enthusiasm and confidence. We welcome all enquiries regarding future litters and look forward to sharing our beautiful Elljoa golden retriever puppies with you.